Mašine za izbacivanje loptica	Pronađeno je 3 proizvoda. The wide speed range makes this machine a superb choice for all beginners. Due to the small size and light weight it can be stored easily and fits in almost all car trunks. A good choice for sports lessons in schools as well as for private usage. The ball feed rate is electronically variable from one ball every 1,5 seconds to one ball every 10 seconds. A battery powered beginner model which can be stored easily. Tennis Tutor is portable and towable like luggage if towing handle is extended. Ball speed ranges from a gentle toss for children to high-speed for advanced learners. Ball trajectory can be set anywhere between groundstroke and lob. 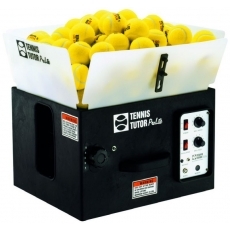 The machine can be set to repeat shots, to oscillate and random shots across the court. High-quality machine with aluminum cabinet. 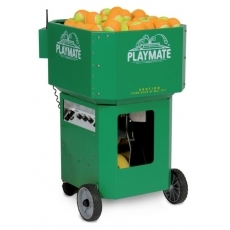 Very easy handling and compact storage. 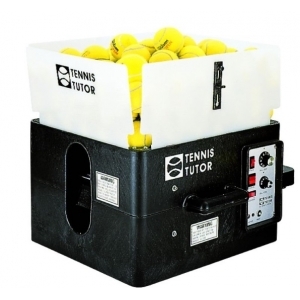 Holds 200 balls, battery powered with on/off remote control. Variable back- and top spin, oscillation with one, two or three lines.